Robin McGraw signed copies of her first book, “Inside My Heart: Choosing to Live With Passion and Purpose” at Borders on Michigan Avenue. 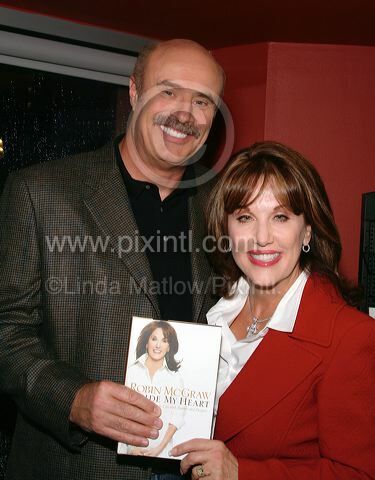 She arrived with her famous husband Dr.Phil McGraw who chatted to the crowd before announcing her. Fans braved the first ever city tornado warning to get a signed copy. The McGraw's seem as charming and happy as they are on tv. The book hits the New York Times best seller list at number next week. Photo: © Linda Matlow/PixIntl (www.pixintl.com) All rights reserved. Rockit Bar & Grill-Fun Events coming up! Friends of Blagojevich Fundriaser at Rockit Bar & Grill-22 W. Hubbard St.
For more information, please contact Katierose@rockitranch.com or 312.943.7600 ext. 20. $20 Ticket at door includes: Complimentary Trick or Treats prepared by Chef Gottwald and Belvedere Cocktails. For more information, please contact Kristen @ 312.943.7600 ext.14.